Meanwhile gold has dropped more than $50/ounce and is now sitting just above $1600. The recent price action is contained within a beautiful arc formation. Last week’s drop tested the bottom of the arc (~ $1590), but is holding up so far. If this bottom holds and prices climb back above $1670 then I would buy. I would rate this scenario a 30% probability at the moment. 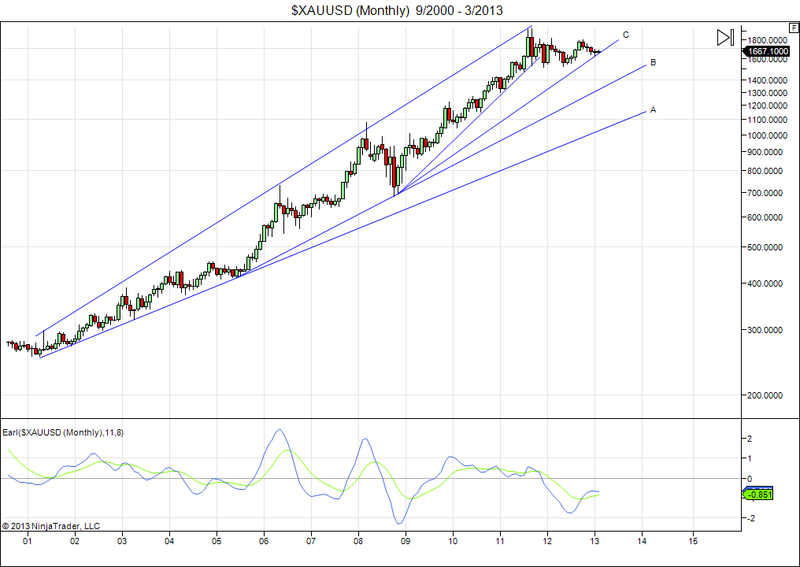 This will rise to 60% probability if gold is still above $1600 by mid March. 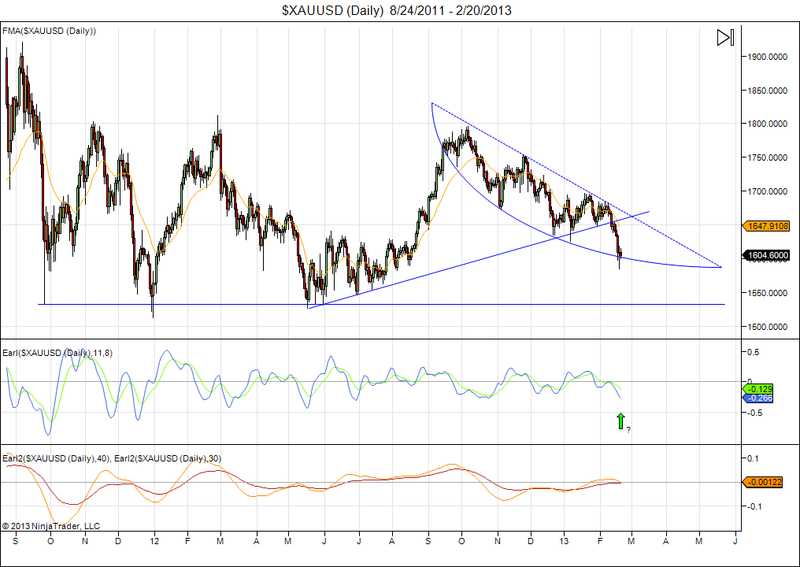 If gold goes lower, then last year’s bottom around $1530 becomes the next major support. Line B would be the next support trendline, currently around $1400. Next is line A, which offers support around $1100 this year. This entry was posted on February 20, 2013 at 11:20 am	and is filed under Market Commentary. Tagged: gold, Precious metal. You can follow any responses to this entry through the RSS 2.0 feed. You can leave a response, or trackback from your own site. There are many sites offering space weather and forecasts for geomagnetism. Click on the “Solar Activity” link in the top menu bar. There you will see some forecasts for up to 3 months in the future, coming from various sources. The sun has a 27 day rotation cycle (called Barthel cycle), so there is often a 27 day peak-to peak rhythm. That’s why again higher sunspot counts can be expected towards the end of March.